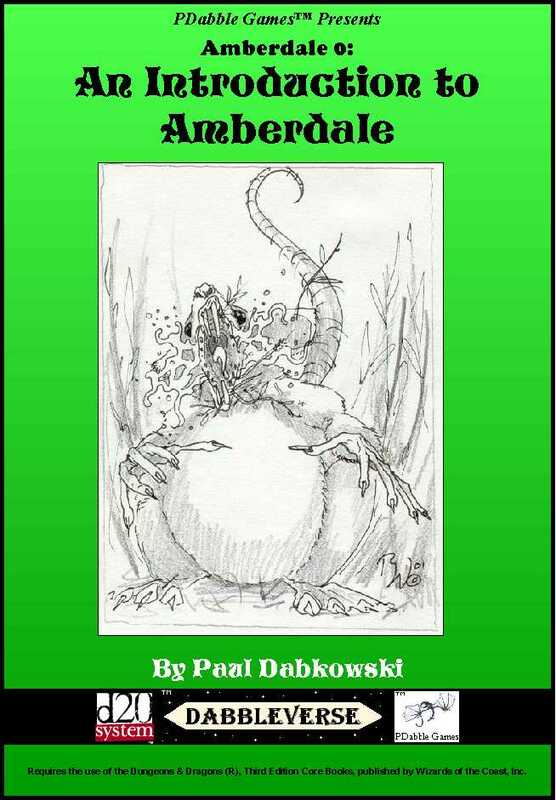 An Introduction to Amberdale A FREE d20 System adventure module for level 1 characters. Help get the Town of Amberdale ready for an annual festival, and introduce the players to the World of Gwent. 32 Pages. Adobe PDF Format. Note: This is a work in progress and is subject to change.